Are you looking for some sewing fun? You will find it at Ruthies Notions with our embroidery classes near Andalusia, AL. Whether you are experienced or brand new to sewing or embroidery, there is a class waiting for you. You will learn so much about this beautiful craft and all you can do with it, all year long. We offer embroidery training that get results. You will come away with a sense of accomplishment, as we show you how to create sewing projects that are right for you. If you are not sure how to use your Brother or Baby Lock embroidery or sewing machine, we offer classes for that as well. 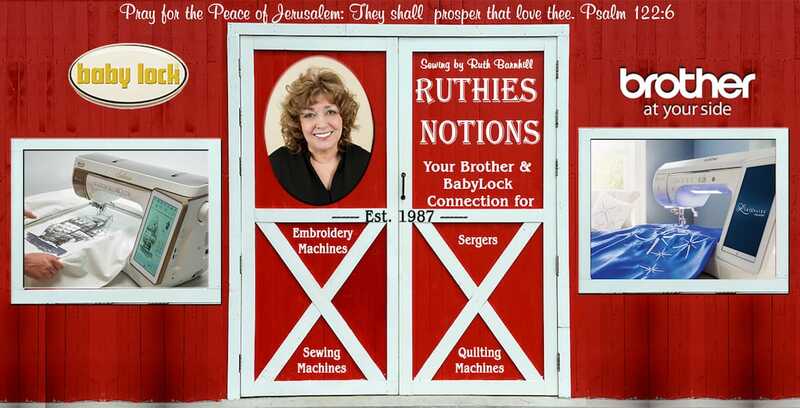 If you are searching for Andalusia embroidery and sewing events, contact Ruthies Notions today. If you still have an embroidery machine in the box, our expert instructors will have you working on your first project in no time. Most of the sewing and embroidery classes we offer are free. Those that are not are always reasonably priced and will even include the kit. 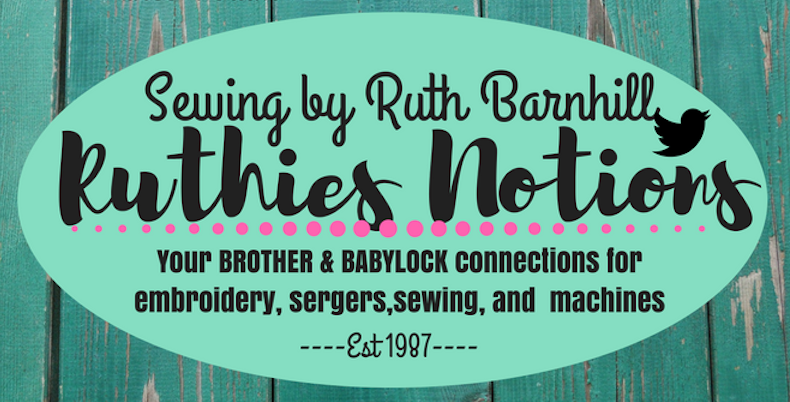 When deciding on which Andalusia sewing class to come to, look at what Ruthies Notions has to offer. It is a short drive from Andalusia to our shop. At our sewing events near Andalusia, you will pick up some of the best, and latest tips and tricks in the sewing trade. Learn how to take the fear out of your sewing and embroidery, by relaxing and giving it a whirl. You have to start somewhere. Plus, think of all of the fun you will have while learning at the same time. When you come to our Andalusia embroidery training, you will also learn what gimmicks and gadgets to avoid. Picking up every little accessory is not going to help you be successful. Having your efforts guided by expert hands, however, will show. There really is no reason to spend money on things you do not need. Instead, save your dollars for projects you have your heart set on and receive the training to make your work the best it can be. At our Andalusia sewing events, we will show you how to keep your projects organized, and how to test your stitch designs. Stitches will look different on different machines, depending on the digitizer, stabilizer, fabric, needle, and thread you use. Sometimes when downloading or converting, files can become corrupted. Always do a test stitch before the real thing, to save yourself time and problems. That’s just one of the tips beginners will learn when they sign up for our classes. There is always Andalusia sewing training available at Ruthies Notions. Beginners learn right along with those with more experience and with professionals who are constantly tweaking their skills. Andalusia embroidery classes can help you turn the corner. Your work can bring you recognition and profit. But, it all has to start somewhere. So, when looking for Andalusia embroidery events, see what Ruthies Notions has to offer. When you are signed up for one of our classes, you will learn from the best Brother and Babylock instructors in the business. To really understand your machine, most Brother and Babylock dealers recommend classes to bolster your skills. These refresher courses are great to reinforce basic skills and to take your sewing or embroidery to the next level. You cannot always do that on your own. That’s why it’s important to be a part of our many Andalusia embroidery and sewing events.